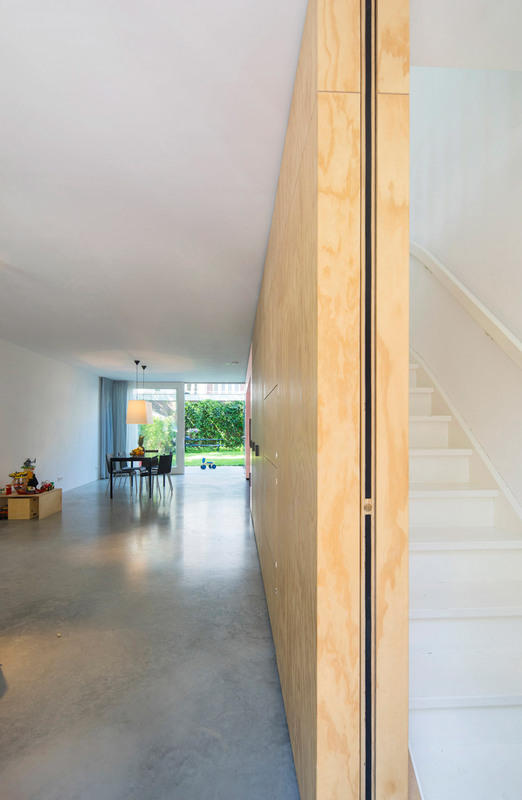 Rotterdam studio Shift has used a 14-metre multifunctional cabinet wall to develop a “loft-like” openness to the ground floor of a historic townhouse in Amsterdam . 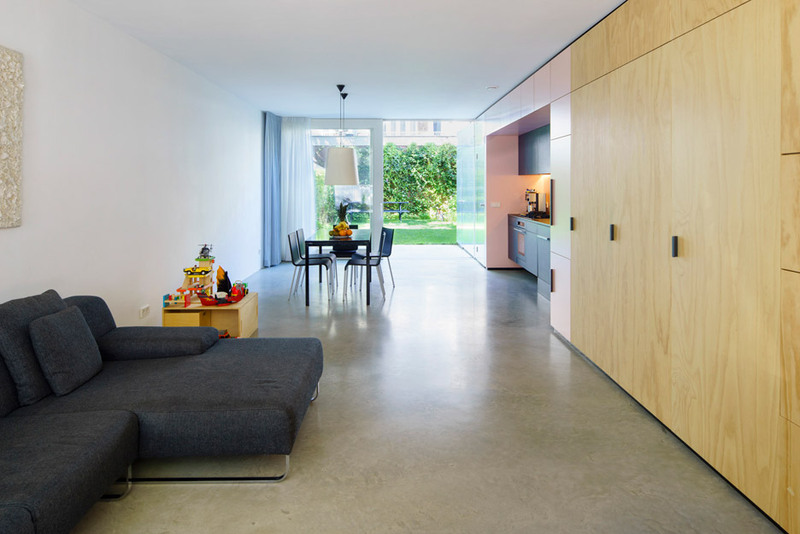 Open Property, situated in the city’s Indies neighbourhood, was transformed by getting rid of the entrance hall and placing all functional aspects into the piece of furnishings that runs along one wall of the ground floor. 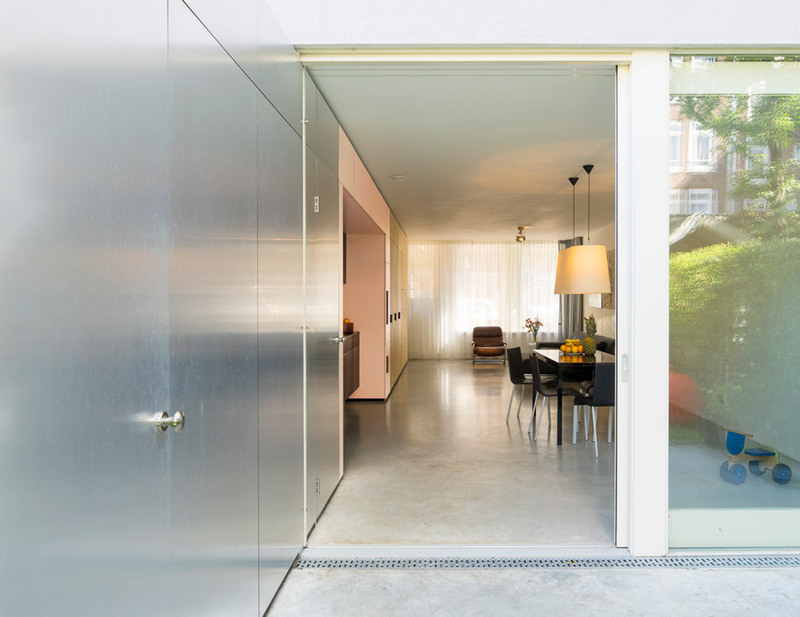 The space “opened up in the most radical way”, Shift co-founder Harm Timmermans advised Dezeen. 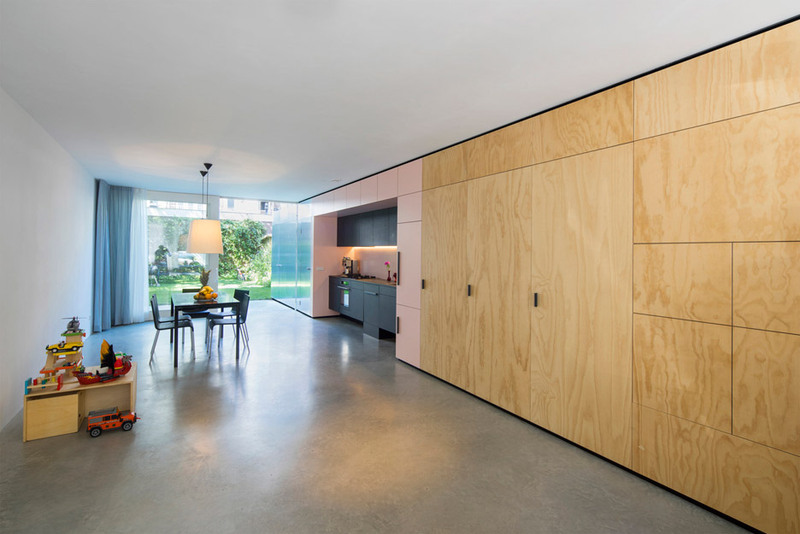 Extending the cabinet by three metres into the personal garden allowed the architects the added space they essential to accommodate all needed functions. 3 blocks of juxtaposing components had been picked to demonstrate the various functions, making what Timmermans described as a barcode across the function wall. 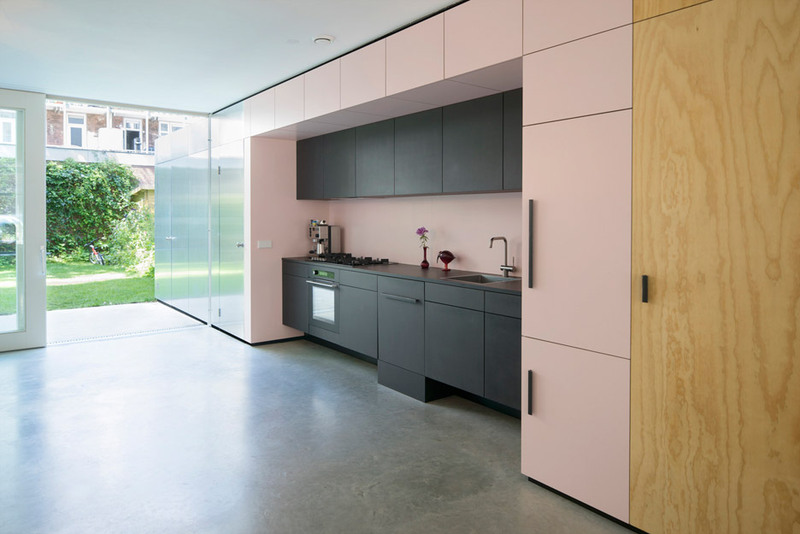 Warm plywood is utilized for the residing, a pink laminate is situated in the kitchen-dining area and a climate-resistant anodised aluminium clads the portion outside. 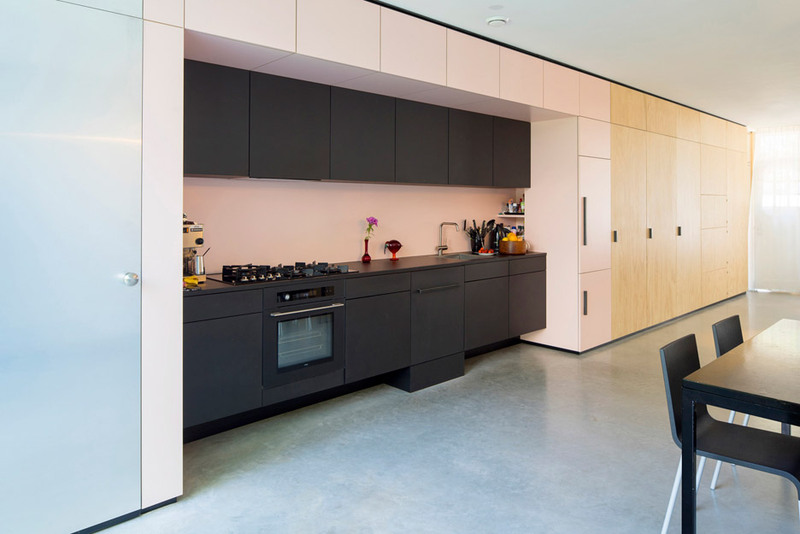 Inside of the dining area there is a recessed kitchen in black medium density fibreboard (MDF), offering a additional contrast to the lighter-coloured components. Other utilities accommodated in the cabinet consist of a staircase foremost to the upper amounts, a Television and audio system, a toilet and garden storage. 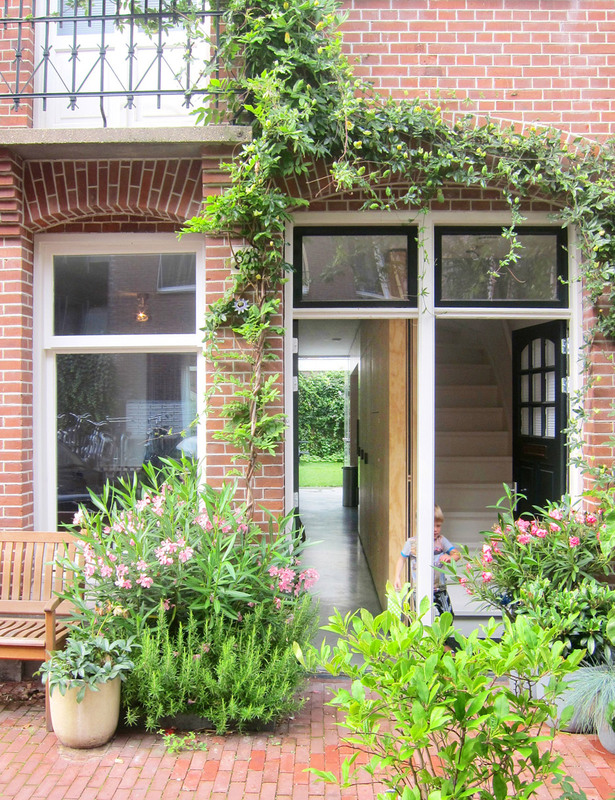 It also provides a modest porch to replace the authentic entrance hall, in what Timmermans describes as a “radical” move for a Dutch residence. Contrastingly, the two upper floors are divided up into individual closed spaces for four bedrooms, two bathrooms and a functioning space. 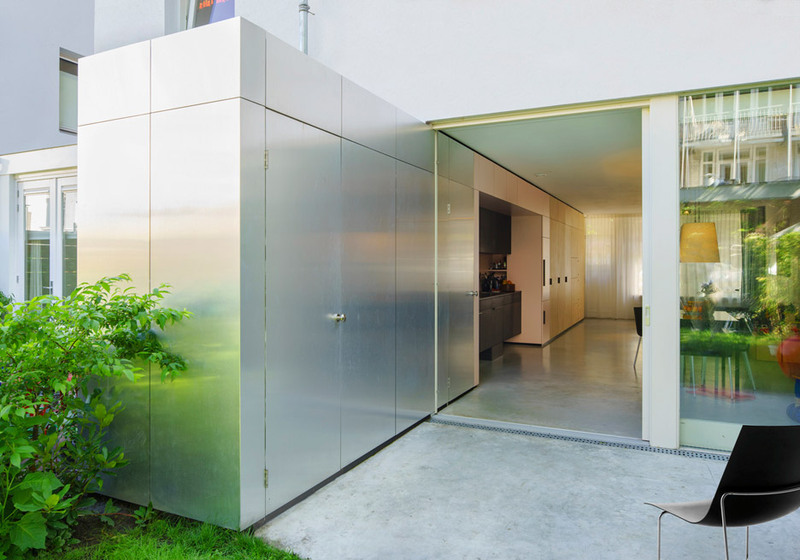 A very first-floor balcony at the back of the residence sits about the kitchen area and overlooks the metal-clad portion of the cabinet in the garden. 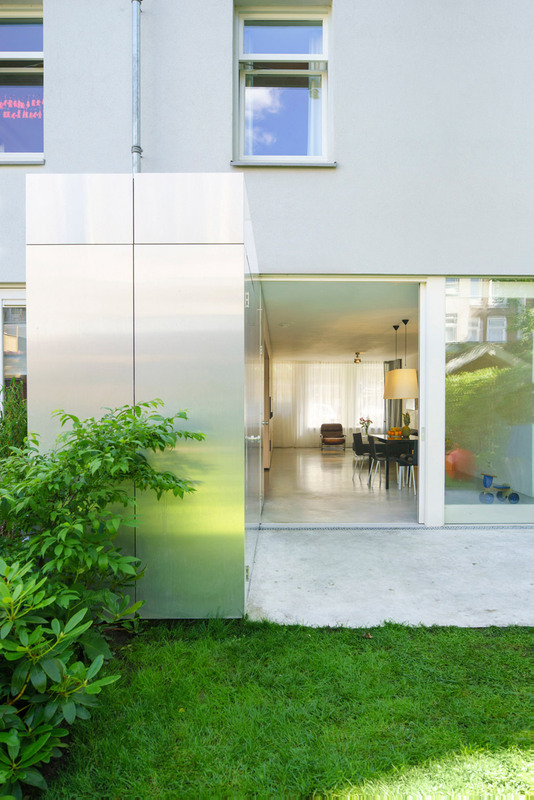 “The intention was to develop a space that consists of the two sidewalk and garden with the residing area,” explained Timmermans. 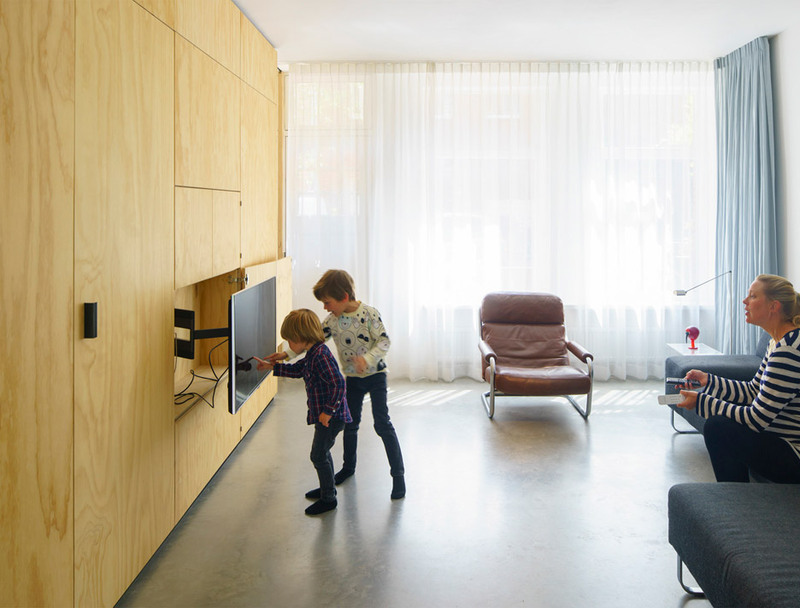 Similar urban renovation projects by the studio incorporate changing a load-bearing wall of a Rotterdam townhouse with a 3-storey bookshelf and converting a suburban property into a dental surgical procedure. Project Group: Harm Timmermans, Oana Rades, Thijs van Bijsterveldt and Pieter Heymans.